It's the second time the fast food chain has had issues with a college campus this month. Chick-fil-A has long dealt with a tough dichotomy: The chicken sandwich specialist’s food is generally accepted to be pretty damn good; meanwhile, its politics — which have infamously included support for anti-LGBT groups — are cited by many as being pretty damn poor. The fast food chain still does solid business, so we can safely assume that some people probably choose their stomachs over their conscience. But on college campuses, where student activism often takes center stage, Chick-fil-A has been having a tough time recently. Fordham University is the second college where the chain has elicited a negative attention this month – with the NYC-based university axing its plan to add a Chick-fil-A altogether. According to student newspaper the Fordham Observer, Fordham has rejected a proposal from food service company Aramark to add a Chick-fil-A outpost in the Ram Café on the university’s Lincoln Center campus following “push back from clubs and independent students over LGBTQ issues and menu offerings.” The brand’s history on LGBT issues was apparently enough of a concern that beyond speaking with obvious groups like the United Student Government and the Residence Hall Association, the university also consulted the Rainbow Alliance, an LGBT advocacy group. 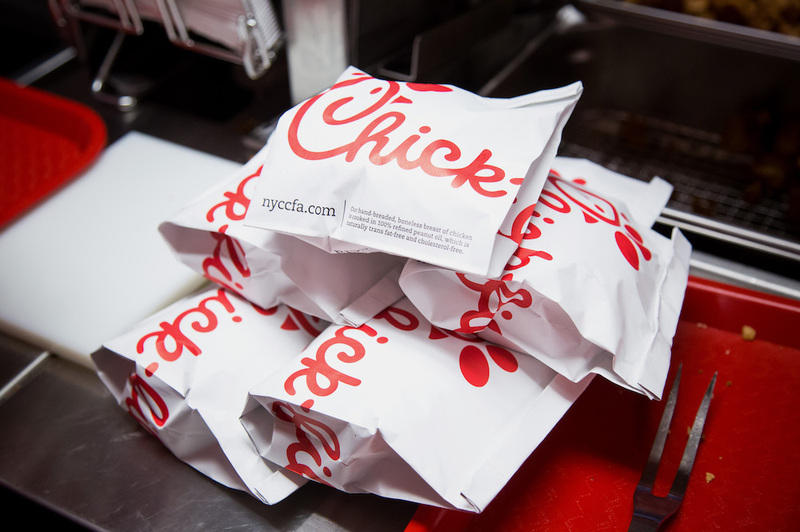 Though Chick-fil-A representatives reportedly offered to work with the Rainbow Alliance to support the opening of the new location, the group still voted unanimously against the proposal. “We’re not going to partner with an institution, a corporation that has so strongly supported other institutions that work to destabilize and demolish movements for queer equity,” Rainbow Alliance Co-President Renata Francesco was quoted as saying. For the record, the university also cited other issues for rejecting the proposal including concerns over a menu with limited options for those with special diets and worries that a national chain could overshadow other offerings in the complex. But however you feel about Chick-fil-A, both these incidents demonstrate a larger point: As hard as the chain has tried to put this controversy that originally started in 2012 behind it, many people are unwilling to let it go.